Columbia County family of Robert Hales helps introduce amendment during 2019 Legislature. A bill in the 2019 legislative session would allow the names of fallen firefighters to be included in roadside memorials throughout the state. In 2013, the Oregon Department of Transportation approved roadside memorials to honor fallen members of the Armed Forces, and amended the law in 2015 to include public safety officers. Now, the family of a Columbia County firefighter who died in the line of duty is pushing to have the statute amended to include fallen firefighters. 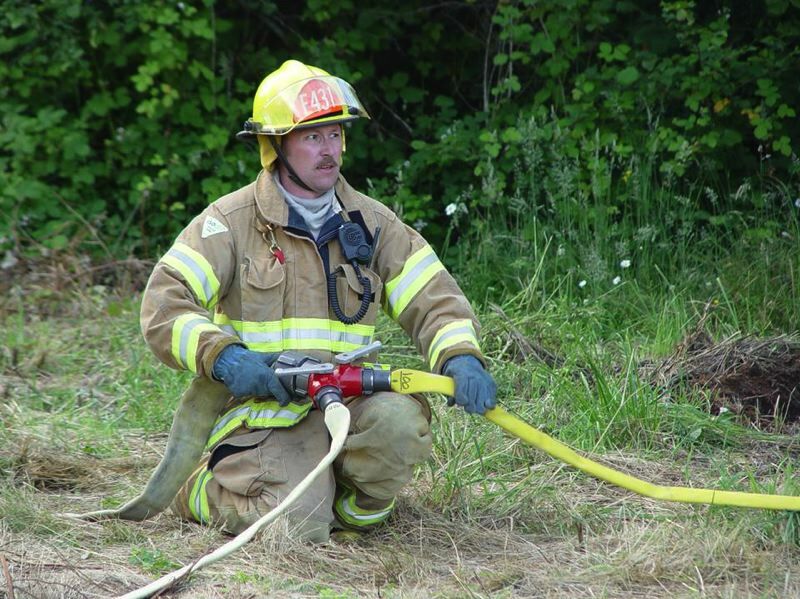 The family of Robert Hales, a former Scappoose Fire District volunteer firefighter and EMT who died from a heart attack following a long shift in 2008, proposed the language change to Sen. Betsy Johnson, D-Scappoose, who is sponsoring Senate Bill 528. "Well, I have been close to all of the people on whose behalf it's introduced," Johnson said, acknowledging the names of Robert Hale's family members. "And I think it's the same motivation of us wanting to recognize the selfless service of police officers and our military who have lost their lives in service to others." Evelyn Hudson, Hales' aunt, said introducing this change in legislation is personal for her family, but not the only reason it's important. "Well, the fallen fireman is my nephew and he was dear to my heart, and he left behind his daughters and wife. And it's not just about them. All survivors have to go through the same thing," Hudson said. Click here to read the rest of the article in the Columbia County Spotlight.